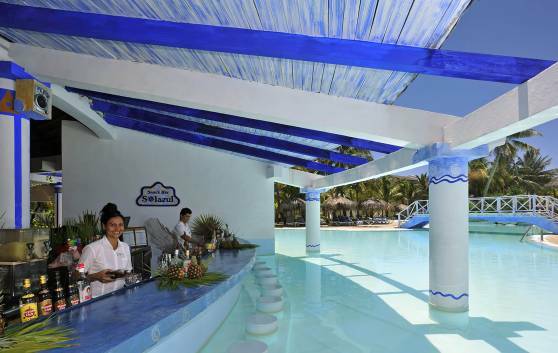 Las Dunas Hotel is the perfect stepping stone to a fabulous Caribbean holiday. 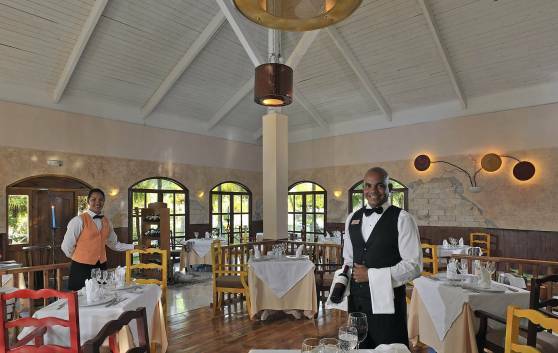 The hotel is also renowned for proverbial cuisine, superior wine list and uniquely designed accommodations. Las Trinas gourmet restaurant is located in a virtual pristine paradise, where good taste and excellent service will make your visit a memorable event and satisfy even the most discerning palate. 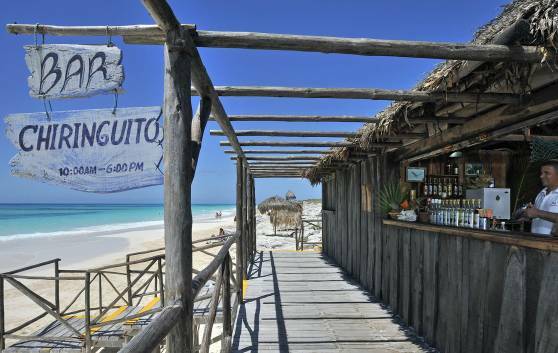 Dinning at the edge of the sea in Cayo Largo is truly a natural luxury. 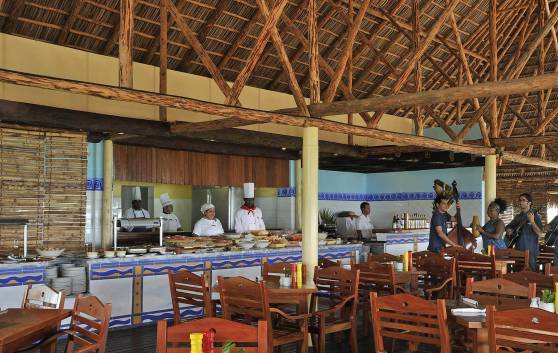 This beach –grill restaurant offers a wide choice of salads, fruits, cold meats and delectable Caribbean specialties. Clients can also request special orders (lobster and superior wine). 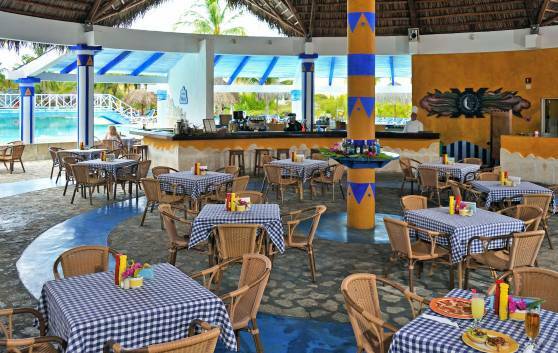 Located in the swimming pool area, the Sol Azul bar offers fresh fruit juices, original cocktails and other beverages for guests, especially bathers, who alternate a plunge in the spool with a swim in the ocean. 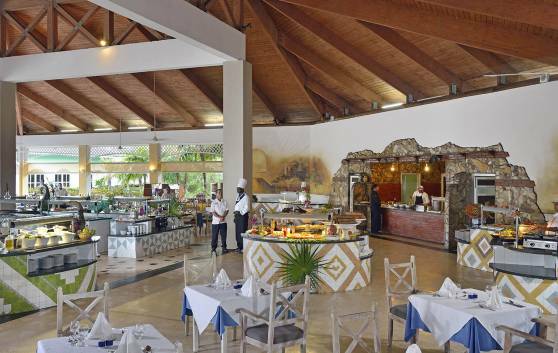 Located directly on the fine white sand and facing the ocean, this bar offers select cocktails and refreshing soft drinks which you can savor while you enjoy the warm Caribbean sun. 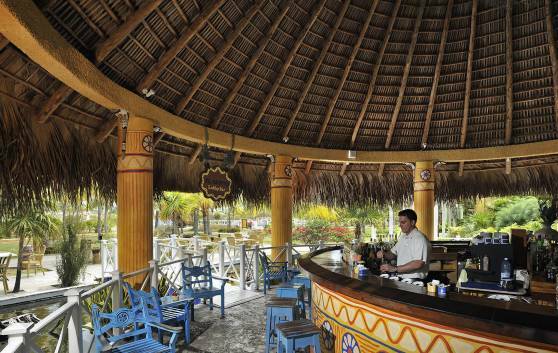 Set over a fresh water lake where fish and turtles cohabitate in perfect harmony, the Lobby Bar offers personalized service and the best Cuban cocktails and international drinks ever, including sandwiches from 23:00 to 07:00. Located in the swimming pool area, ideal for those who prefer a quick snack. Lobster and superior wine list also available for an extra charge.